Today, the Virginia Beach police department released a statement that updated their investigation of the shooting that occurred outside of the Club Guadalajara nightclub where Michael Vick was hosting his 30th birthday party. Investigators were able to determine the identity of the shooter. Unfortunately because of the lack of cooperation from the victim, coupled with the reluctance of witnesses, the Commonwealth Attorney’s Office, upon reviewing all of the evidence, has determined that no charges will be filed in this case at this time. Because the suspect will not be charged, his identity cannot be released by police. There are no other suspects in this case, including Michael Vick. The issued statement states the police has identified the shooter but cannot reveal his identity due to a strange twist. Unfortunately, the police cannot charge the suspect at this time because the eye-witnesses and victim, Quanis Phillips, have been uncooperative. More importantly for Eagles fans and the organization, the statement confirms that there are no other potential suspects, which means Vick is off the hook. 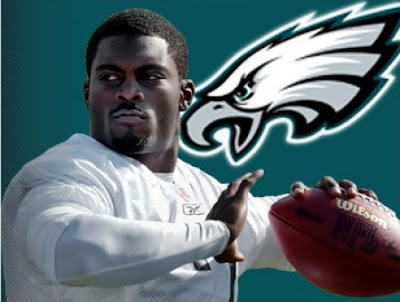 Kudos should be given to the Eagles organization for not pulling the trigger and outright releasing Vick before the information was released. Certainly this helps the Eagles backup QB position, but also in the red zone and on short yards since Vick can use his legs allude tacklers to get the yards necessary. On the other hand the statement still leaves questions such as was the shooter a "ex-con." This would be against Vick's probation since he isn't allowed to associate with ex-cons. Additionally, one has to ponder why witnesses and the victim have not been cooperating with the police. Are they hiding something? Still expect NFL commissioner Roger Goodell to meet with Vick to discuss the incident. Also, do not be surprised if reports continue to surface about the Eagles signing veteran QB Jeff Garcia. It seems odd that he has been ruled out as a suspect when people aren't talking with police, if they don't have enough to charge the suspect how can they know exactly who is involved. I agree though that it is good that the Eagles didn't do something rash likely immediately release him when the news broke. If this doesn't wake him up I sort of feel next time they should just release him, eat football,drink football and then go to sleep. The whole fact that now it appears that he was involved in a confrontation and forced to leave by friends moments before this went down proves how dumb it was to have the event, he still isn't responsible and that there is likely way more to the story that is let on. The good news is he is cleared and we can get back to talking about players who want to play in the NFL.